Software Released to Jailbreak and Unlock iPhone 3G, 3Gs and iPhone 4 ios 4.0.1/4.0.2 - An innovative iPhone unlock software that is capable of unlocking the latest ios 4.0.1/4.0.2, compatible with iPhone 3G, 3Gs and iPhone 4G has been released by iPhone Unlocking LTD. Brilliant news for iPhone enthusiasts as iPhone Unlocking Ltd have released the latest unlocking software. It is now available at iphoneunlocking.com. iPhone Unlocking Ltd have been providing iPhone unlock solutions since the release of the iPhone 2G (June 2007). The new software lets you to unlock and jailbreak the latest ios 4.0.2 installed on the iPhone 3G, 3Gs and iPhone 4G. Unlocking your iPhone enables many fantastic, new and exciting features that are limited on the standard factory iPhone. These include the use of all service providers from around the globe, free GPS navigation applications, 1000’s of wallpapers and much more. PC Health Advisor Integrates New Tools to Boost PC Performance - All-in-One computer optimization suite PC Health Advisor has upgraded to version 2. This latest version provides PC users with even more tools to stop errors and improve PC performance. 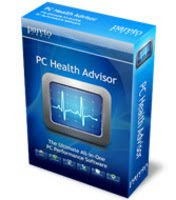 More than ever, PC Health Advisor from ParetoLogic is an indispensable tool for the home computer user. The all-in-one software recently enhanced its suite of tools with a driver update function and a file extension manager. Combined, the software now gives average computer users a quick way to stop errors and improve performance in the Windows registry, boost disk performance via disk defragmentation, remove privacy and junk files, destroy active Malware, speed up Windows startup times, update out-of-date drivers, and fix file associations, along with other Windows tweaks. "Upgrades and enhancements are always part of our plan," explained Norman Eldridge, ParetoLogic's Technical Product Manager. "PC Health Advisor keeps its users covered, no matter where their computer problems originate. These new tools allow us to further expand the ways that PC Health Advisor protects and improves users' PC performance." Make Finances Fun (and Win $50,000) with The Frugality Game™ - The Frugality Game™ is a free, online adventure to help families improve their finances while having fun. A new version (including tools and education for saving and budgeting) launches today. Users can win $50,000 or a new SMART® car. Personal finance can be fun, thanks to The Frugality Game™, a free, online adventure with education and tools for saving and budgeting. A new version launched this week. "The Frugality Game™ combines the fun of games with powerful financial tools and learning to create a unique experience," says Joanne Garneau, founder of TFG, Inc. and the game's creator. 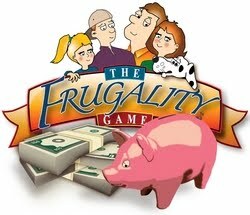 "We created The Frugality Game™ to promote better financial habits and educate people about money. It's more than a game: it's a real-life challenge." The experience follows the fictional Frugal family on treasure-hunting adventures around the world. Along the way, adventurers learn about their real-world finances and unlock tools to create budgets and track spending. There's even a $50,000 grand prize (official prize rules can be found here). Evolution Robotics Introduces Mint at RobotShop - RobotShop has been selected by Evolution Robotics to sell the company’s new automatic hard surface floor cleaner. RobotShop Distribution Inc. announced today that they will be among the top online retailing stores to sell the Mint Automatic Floor Cleaner, a robotic floor cleaning appliance designed exclusively for hard surface floor cleaning. RobotShop is on a continuous search for the latest and most innovative robotic technology. 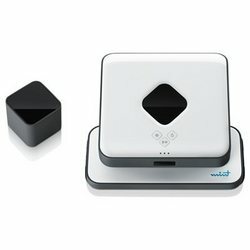 It is only appropriate that the Mint from Evolution Robotics be added to its growing line of robotic floor cleaners. Mint automatically dusts and wet mops hard surface floors using popular cleaning cloths, such as Swiffer® brand Dry and Wet Cloths® and other similar products. "RobotShop has cooperated with Evolution Robotics for multiple years by selling their popular ER1 and their NorthStar detector kit,” said Mario Tremblay, president and founder of RobotShop. “We are proud to stand beside Evolution Robotics to introduce the new smart and automatic floor cleaner, Mint. We are clearly entering a new phase in the evolution of floor care." 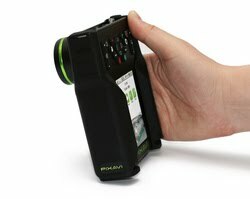 The Pixavi Xcorder EX4000, a Zone 1 and Zone 2 certified camera and camcorder, brings to market a durable technology to customers within chemical plants, oil and gas installations, shipyards, mines, production environments and other areas, requiring strictly certified electronic equipment. Pixavi CEO/CTO, Christian Rokseth states: “We have seen the increasing demand for this type of product, evolving gradually over the last years. The market has been requesting a higher end Digital Still Image camera that also has HD video capabilities along with wireless features. 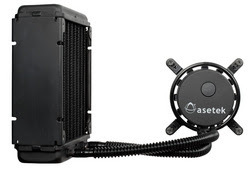 Asetek Inc., the world’s leading supplier of OEM liquid cooling systems for computers, is adding a new extreme performance liquid CPU cooler, the 570LC, to the company’s line of standard OEM liquid CPU cooling systems. The 570LC features a double thick, ‘fatboy’ heat exchanger for greater thermal performance and a new lower noise, lower profile, integrated pump and cold plate. The 570LC enables PC manufacturers to factory overclock CPUs to the maximum extent, giving extreme gamers and PC enthusiasts the fastest systems possible. In a video comparison run at stock speeds, the 570LC achieves a temperature that is 10ºC lower than the stock heat sink of an Intel i7 980X. The double thick heat exchanger is designed to utilize a single 120mm fan exhaust port, making it compatible with a wide array of computer chassis. It is intended for use with dual fans in a push/pull arrangement and outperforms single thick, 120x240 heat exchangers within the noise ranges most enthusiasts find acceptable. Panasonic's Lumix TZ10 with Built-in GPS: The Traveler's Best Friend: GPS, 12x Optical Zoom and Quality Photos in a Compact Frame. Panasonic's new line of cameras features some of the latest technological advances in digital camera photography, including 12x Optical Zoom, HD movie with audio, built in GPS, Intelligent Resolution Technology and Optical Image Stabilization. The compact frame of the Lumix-TZ10 provides a convenient travel-size camera with a number of features that can adapt to a wide-range of shooting needs. The "Travel Zoom" series features a 12.1-megapixel camera that is sure to capture memories in high-resolution quality. New in this camera is a Built-in GPS feature that codes each picture or video with the location each image was taken, and allows you to organize your pictures by location – providing an easy reference for the jet-set traveler. With this GPS you'll never get your holidays mixed up again. The HD video feature is paired with Dolby Stereo sound, and, when used in conjunction with the software provided with the camera, videos can be easily burned to a DVD or uploaded to YouTube. Standard in the Lumix cameras is the Intelligent Auto mode feature, which includes the Power Optical Image Stabilization (OIS) offering twice the shake-suppression power previously available. The OIS feature reduces blur when taking pictures from an unsteady platform or while using the 12x-optical zoom. The OIS compensates for low-frequency vibrations and ensures quality pictures under a variety of shooting situations. Featuring the world's first touch-control shooting system, Panasonic's Lumix DMC-G2 offers a host of new features that expand upon the features of the previous Lumix G1 model. The highlight of this new model is the three-inch free-angle LCD touch-screen that provides an easy-to-use, one-of-a-kind user interface. The screen also features a full time Live View and high-speed contrast auto-focus system. The Lumix DMC-G2, which resembles a small SLR camera, provides high-quality images in a compact, easy-to-use size with Intelligent Auto. 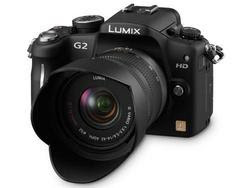 The Lumix G2 maintains the versatility and capability of a point-and-shoot camera that consistently captures quality images without worrying about adjusting aperture and focus. The Lumix DMC-G2, the world’s smallest and lightest system camera, allows photographers of all ability levels to capture quality photographs and HD videos. With the integrated auto-focus system photographers can select a specific point-of-focus by simply touching the screen in the desired location. While in the manual operation mode aperture and shutter speed can be adjusted by simply moving the slider on the screen. In playback mode the touch-screen allows for easy scrolling and quick selection of images. World's Smallest USB Drive: A range of USB Drives have gone on sale this week boasting the smallest size and weight in the industry. A key advantage of the USB drive has always been their size. Now the SuperTalent Pico C takes it to another level. It may be tiny, weighing less than 6 grams but that doesn’t prevent it from holding up to 32 GB of data. This Phone Speaks Volumes: Amplicom™ USA Re-opens Lines of Communication for People Experiencing Hearing Loss; New amplified phone offers clear, customized sound for people with varied degrees of hearing loss; compatible with hearing aids and cochlear implants. Amplicom™ USA introduces a practical and intelligent approach to telephone communications for those with hearing loss with its new PowerTel series of corded and cordless amplified telephones and accessories. 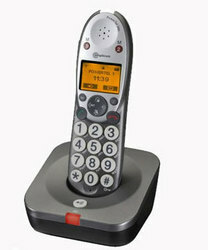 Based on the most advanced technology, these unique phones provide the ultimate in noise and interference reduction for clear and easy communication. Amplicom phones are designed to work with hearing aids and cochlear implants, meeting the superior TIA-1083 compatibility standard developed by the Telecommunications Industry Association at the urging of the Hearing Loss Association of America. The only amplified phone on the market that features yourSOUND™, the PowerTel series allows settings to be adjusted and set for multiple hearing profiles, so that each member of the household can switch to his or her own preferred volume and frequency at the touch of a button. “Patients in my busy audiology practice appreciate the clear sound and the unique, adjustable yourSOUND feature of the PowerTel cordless phone. It works beautifully for patients with or without hearing aids, and I even recommend it for people without hearing loss,” says Candice Tackett, Au.D., Hearing Center of Kalamazoo, MI. You may be afraid of the dark, but one thing you don't have to be afraid of is Panasonic's new VIERA Neo Plasma technology, which takes advantage of a black background to enhance color quality. Color quality and image quality are directly related to how black a black is on screen. The juxtaposition of color against the darkness of the background increases the overall vibrancy of the image – which is precisely the idea behind Panasonic's new VIERA Neo Plasma TVs. Whether a viewer is playing video games, watching TV or watching video the black based screens "draw the viewer into the picture – offering the best in picture quality with exceptionally deep, rich black levels and clear, beautiful images" according to Matt Pearce, Group Marketing Manager, VIERA, Panasonic Australia. View the VIERA Neo Plasma TV Range here. At the top of the new range of Panasonic VIERA Plasma TVs are Full HD 3D TVs that feature an astounding 5,000,000:1 contrast ratio. These Plasmas not only meet THX certification but also feature Neo Plasma technology, allowing viewers to enjoy exquisitely beautiful images with an incredibly powerful 3D effect. Think about the most vibrant Plasma image you've encountered and kick it up a notch. Whether you're watching sporting events or cinema quality movies the VIERA Plasma will provide an ultra-high-quality image with remarkably low power consumption. GamerDating Launches New Online Gamer Dating Website: Gamers have a new champion for their relationship needs. GamerDating aims to become the singles site to help gamers to find others to share a date, love and love of gaming with! In a successful relationship, the partners will have something in common: music, movies, politics, and now that studies are showing that gaming is one of the most universal hobbies for people in the US, the Internet is long overdue for a gamer dating site where gamers can find each other and fall in love. On Gamer Dating, couples are matched by shared criteria, primarily their favorite games. 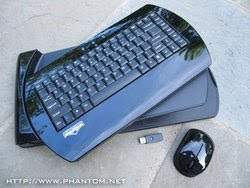 The Phantom Wireless Lapboard and The Phantom Wireless Laser Mouse together are a combination wireless keyboard and mouse where the keyboard opens to a hard mousing surface at adjustable rotating angles, that enables users to work or play from a couch, easy chair or any comfortable setting for Internet TV, HTPC or Gaming. The Phantom Lapboard is the only wireless computer peripheral which allows the consumer to use a "mobile desktop"; the hardware combination is designed to allow full control of the keyboard and mouse without the need to be sitting upright at a desk. The Phantom Lapboard includes wireless technology, ergonomic design, one-touch features, and a wireless high definition 1200 dpi laser mouse. In addition, the Phantom Lapboard also rotates for left and right handed users and inclines up to a 22 degree angle with a hard surface support for the Phantom mouse that is designed for Internet TV, game-specific and business software applications on PC, Mac, PS3 and other gaming platforms. iPhone Unlock Software Available Now For 3G, 3GS and iPhone 4 IOS 4.0 & 4.0.1; Jailbreak/ unlock software which will unlock ios 4.0.1, compatible with iPhone 3G, 3Gs and 4G has been released by iPhone unlocking ltd.
iPhone Unlocking Ltd have been providing unlock solutions for iPhone since the release of the iPhone 2G (June 2007). This handy application allows you to jailbreak/ unlock the latest ios 4.0.1 installed on the iPhone 3G, 3Gs and iPhone 4G. Many new features that are limited on the factory set iPhone are enabled by using the unlock software offered here. Just a few include the use of any network provider, free GPS navigation applications, 1000’s of wallpapers and much more. iPhone Unlocking Ltd state that this unlock solution is the easiest, safest and most reliable iPhone unlock software on the market and after running the software on multiple models of iPhone we can say that this software is without fault. Aleratec Launches New Compact, Standalone 11-Target USB Flash Drive Duplicator: The Aleratec 1:11 USB Copy Cruiser SA can copy to, compare, or erase up to 11 flash drives simultaneously. All of these functions are controlled with a simple, intuitive four-button interface and backlit LCD display. The unit is compatible with USB 2.0/1.1 flash drives, and since its standalone, there’s no need to tie up your computers or any other equipment. This convenient device takes the hassle and high cost out of trying to copy USB flash drives, making it easy to duplicate marketing presentations, sales collateral, promotional content, video clips, applications and more. Aleratec Inc. announced today the launch of its new 1:11 USB Copy Cruiser SA, a compact and powerful standalone duplicator for USB flash drives. USB flash drives are often used by businesses and organizations to share data, multimedia files, marketing information and much more. 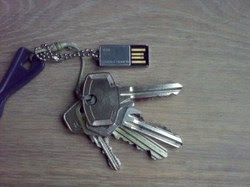 However, creating many copies of a USB flash drive using personal computers is extremely time-consuming and inefficient. 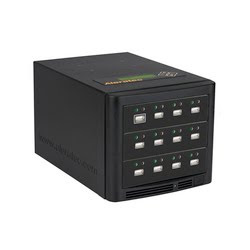 The Aleratec 1:11 USB Copy Cruiser SA can copy to, compare, or erase up to 11 flash drives simultaneously. All of these functions are controlled with a simple, intuitive four-button interface and backlit LCD display. The unit is compatible with USB 2.0/1.1 flash drives, and since its standalone, there’s no need to tie up your computers or any other equipment. This convenient device takes the hassle and high cost out of trying to copy USB flash drives, making it easy to duplicate marketing presentations, sales collateral, promotional content, video clips, applications and more. Nuforce Delivers High-End 24bit/96kHz Modular Audio Systems For the Mass-Consumer Market: NuForce, Inc., a California-based manufacturer of consumer audio products, announces the release of its Icon-2 and uDAC-2 desktop audio components. Together with the recently released high-end Icon HDP and Icon Amp, this series completes a Modular Systems approach for bringing high-end audio to the mass-consumer market. Built on the highly successful Icon platform, the full NuForce line of 24bit/96kHz audio components offers heretofore unattainable performance levels for desktop or other computer-based music environments. As a headphone amp, preamp, USB (24bit/96kHz) and S/PDIF (24bit/192kHz) DAC, NuForce’s Icon HDP leads the way with unprecedented accuracy and resolution. The 24Wx2 Icon Amp serves as a companion piece to the Icon HDP. The USB-powered and portable uDAC-2 offers a high quality USB DAC and headphone amp for those seeking high-performance audio from their computer music source. As a step beyond the successful uDAC, the uDAC-2 boasts a highly linear TOCOS volume control for improved channel tracking at low listening levels, in addition to 24bit/96kHz USB DAC and an improved headphone amp. Building upon the award-winning Icon integrated amplifier, the Icon-2 offers 24Wx2 power, 24bit/96kHz DAC, an improved headphone amp and preamp circuit. Creative Technology Ltd. today announced the Sound Blaster® X-Fi® MB2 software suite - a powerful audio platform equipped with cutting-edge audio technologies designed to enhance ordinary PC systems limited by only basic onboard audio. The Sound Blaster X-Fi MB2 software suite builds on the success of the original Sound Blaster X-Fi MB, bringing enhancement of onboard PC audio to even greater echelons. Through THX TruStudio ProTM audio technology and the latest Creative EAX® Advanced HDTM 5.0, users get to enjoy premium audio quality, effects and features on their PC systems. Gamers can anticipate being blown away by the amazing realism from the unrivalled headphone surround and gaming sound enhancement technologies delivered by the Sound Blaster X-Fi MB2. Creative EAX Advanced HD 5.0 features state-of-the-art multi-environment rendering and reverb modelling, delivering an ultra-realistic and incredibly immersive 3D gaming experience for powering the next generation of cutting-edge PC games. The additional audio cues provided by EAX can also give gamers a competitive advantage in early detection of enemies. “We are extremely excited to see the Sound Blaster X-Fi MB2 software going into ASUS Republic of Gamers motherboards, with ASUS being the top manufacturer of motherboards in the world and constantly committed to delivering the most innovative and best performing PC solutions to enhance the gaming experience of power users. Our partnership will continue to push the boundaries of PC gaming audio, providing the much-needed realism and immersion in game-play that modern PC games demand,” said Steve Erickson, Vice President and General Manager for Audio and Video at Creative.